Going to the dentist can be very stressful for a child, especially if it is one of his or her first visits. It can also be stressful for parents when they worry about how their child will react to dental treatments. Finding the right kids dentist Jacksonville can make all the difference. The dentist that you choose should be a pediatric dentist who specializes in working with children from infants to teens. Having a dentist who specializes makes dental visits a positive experience that helps kids feel comfortable and safe going to the dentist. A pediatric dentist also knows how to adapt to kids who may feel anxious. When looking for a kids dentist in Jacksonville, one of the first things to look for is how the dentist and staff talk to your child. You want the dentist and staff to talk in simple terms, ones that are positive and will not frighten your child. 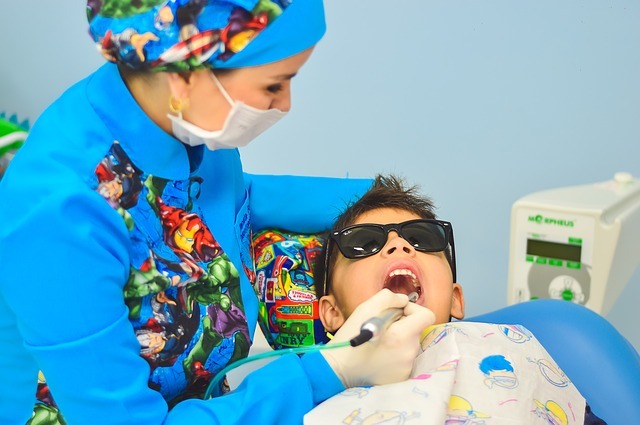 Whether your child needs a routine cleaning or a fix for a broken tooth, the dentist and staff should make your child comfortable throughout the entire process and explain the process in terms that will not scare a child. When finding the right pediatric dentist, look for a place that is fun and makes your kid feel comfortable and, if possible, excited to be there. A pediatric dentist office should use bright colors and fun themes to put your kid at ease from the moment he or she walks through the door. This entry was posted in Dental care, Health, Kids and tagged dental care, dental care for children, dental clinic for kids, right dentist for kids on April 9, 2019 by Yami.